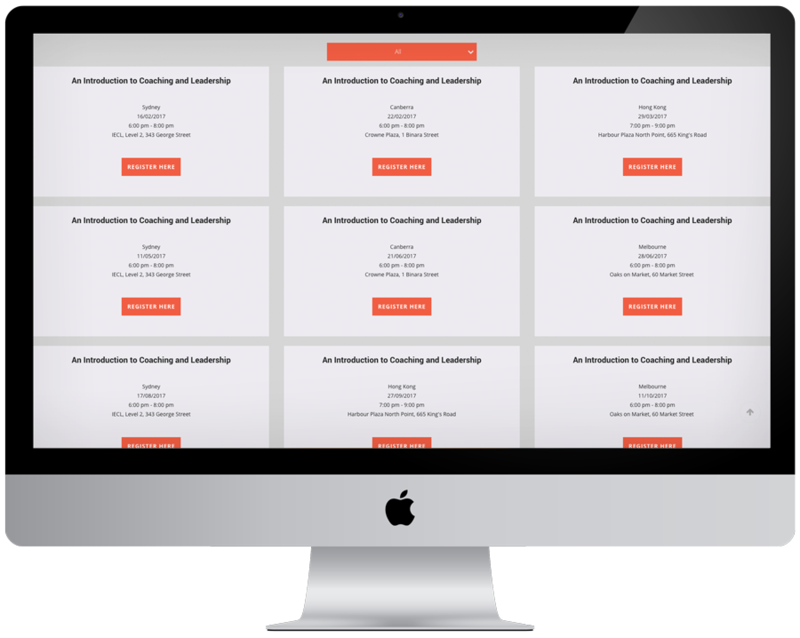 The Institute of Executive Coaching and Leadership (IECL) is a leading provider of coach training, executive coaching and leadership development. 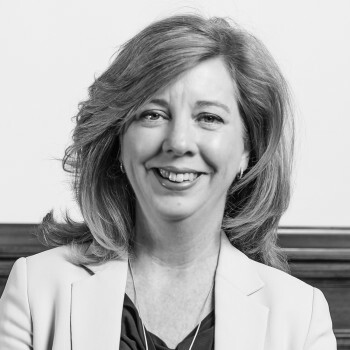 Their clients include large companies such as Westpac and HSBC, and with offices across the Asia Pacific region, the company is well-established and highly regarded. 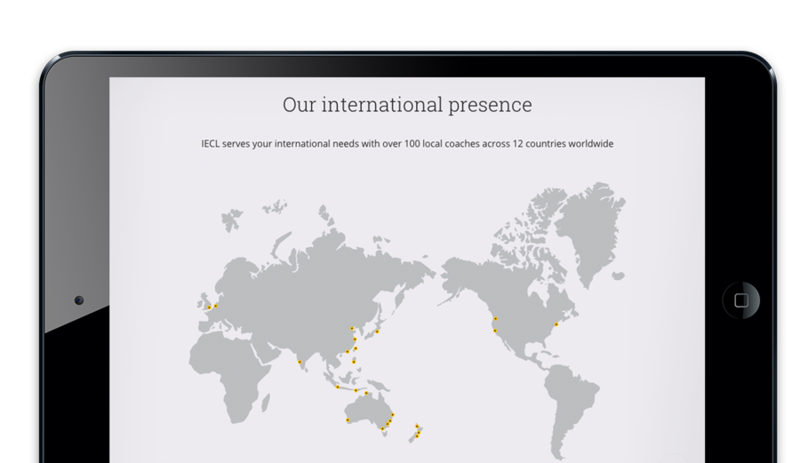 The IECL website, however, needed some help to mirror the brand’s reputation. It wasn’t user-friendly or engaging and the navigation wasn’t clear. Users were confused about user journey and there was no clear differentiation of their three main services. On top of this, conversion rates for form submissions and booking training sessions through the website was low as it wasn’t clear where or how to book. 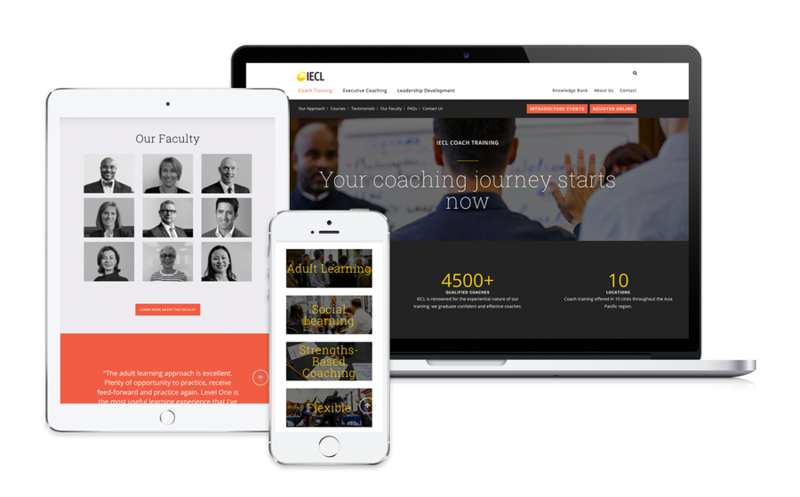 So, our challenge was to create a best-in-class website that would reflect the IECL brand and speak to big business — a highly professional organisation that provides coaching to the leaders of the world’s top companies. Along with addressing the drawbacks of the existing website, it also needed to include engaging and SEO-friendly content, and allow for updates to be made internally. The website needed to include information on all of their services, as well as a blog, and the ability to book training sessions. To answer to IECL’s brief, we took a holistic approach to ensure the website would be the best possible design and also provide results through SEO. The phased approach included SEO, User Experience, Design, Web Development and SEO launch supervision to ensure the Google page results didn’t drop. UX (user experience) and user testing was crucial to our response, as the user journey on the previous site was overwhelming and complicated. We engaged a team of 13 specialists to work together on the concept, design and implementation and worked closely with the clients to ensure the brief was met at every stage. On top of our account managers, the team included a Digital Strategist, User Experience Architect, Digital Designer, SEO Strategist, Art Director, Copywriter, SEO Content Producer and Front-end Developers. After a couple of months, a few long nights, multiple rounds of user testing and a huge team effort from [Haimat] and IECL, the site went live. Since then, not only have we received great feedback from the clients on the functionality and aesthetics of the site (see their kind words below), but the site has also delivered incredible results so far. It’s still early days, but already, each month since the launch the site has received more visits than the previous site, because of the SEO strategy, improved user design/experience and ongoing SEO and SEA support. In the first month after launch, site visits were up by 30%, organic traffic also increased by 19% following the launch, and form submissions also increased.